You can find Yes Cocktail Co. at a swath of local haunts, including the General Store in Paso Robles, Lincoln Market in SLO, Paul's Liquor in Cayucos, Third Base Liquor in Grover Beach, and Sextant Winery in Edna Valley. For a list of locations where you can find it or to order your own bottles online, go to yescocktailco.com. Lauren and Brandon Alpert know a thing or two about this great country, its backroads and watering holes. For three years, they traveled most of it—45 states to be exact—in a red F-150 truck. Touring by the seats of their pants as part of a children's theater group, "home" became wherever they could rest their heads next. Photos Courtesy Of Yes Cocktail Co.
FRESHLY SHAKEN Almost always made with California-grown ingredients, Yes Cocktail Co. of Paso Robles is shaking up summer drinks with ginger citrus, Sriracha lime, grapefruit thyme, hibiscus rose, and other garden fresh flavors. "We'd stay with various host families or they'd put us up in a hotel. It could be anything from a gorgeous winery villa to the dregs of the worst motel you have ever seen," Lauren said. And then, there were the kids, so full of life and excitement. Sure, the couple loved their work—traveling to different towns, casting 60 kids on Monday then putting on a full-fledged musical by Friday—but it was mildly exhausting. "It was just two of us: one on stage, and the other wrangling behind the scenes," Lauren added with a laugh. "At the end of a long day, you could say we needed a drink." And drink (responsibly) they did. From famous decades-old dive bars with animal heads mounted on the walls to the Sip 'n Dip in Montana (where you can slurp an aqua "fish bowl" with friends while eyeing a mermaid-filled pool and listening to the piano). You could say the theatre actors got their fill of fizzes, 'tinis, and tonics. They even crossed off a bar "bucket list" as they went. "It really clicked in Wisconsin," Lauren said. "They had all these local spirits and local cocktails that we were exposed to, some products were being made at home." This was between 2012 and 2015, and although the resurgence of cocktail culture had been raging in both actors' stomping grounds—upstate New York for Lauren and Southern California for Brandon—they realized that some communities were particularly well-positioned to embrace a mixology makeover. The pair moved to Paso two years ago with the dream of starting up a theater group in the area, but quickly got sidetracked by the region's incredible array of produce. 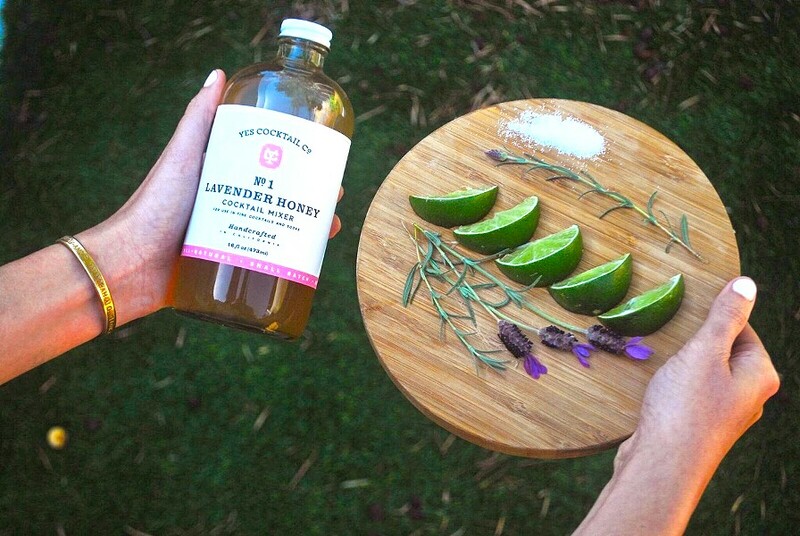 This is the true inspiration behind their line of natural mixers, which range from floral hibiscus rose to spicy ginger citrus. "When we made our home on the Central Coast, we were disappointed because there was all this great local produce, but a dearth of fresh mixers," Lauren said. "There's been such an amazing push for craft beer and wine, and we saw cocktails having a renaissance." Photo Courtesy Of Yes Cocktail Co. LAVENDER HONEY Ever taste a "Lavenderita?" 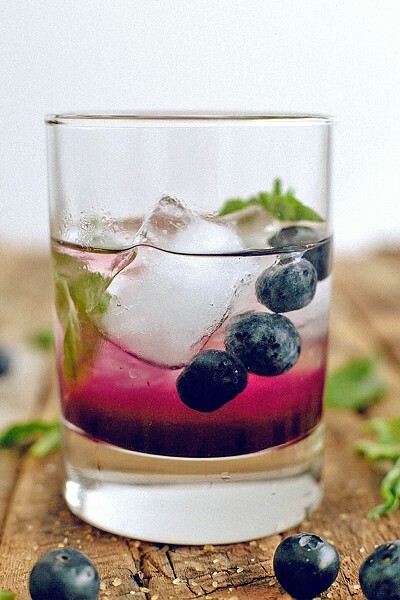 Add some lavender honey mix from Yes Cocktail Co. to a shot of tequila, splash of Cointreau, and a squeeze of lime juice. There you have it! So, the pair made their own mixers. Each small batch is made simply, with fresh, recognizable ingredients. With the exception of hibiscus rose, every ingredient is, in fact, grown in California (or within the county, when possible). We're talking Sriracha lime, grapefruit thyme, and other seasonal flavors, too. As you can already gather, these are not your mom's cocktails. No artificial flavors, colors, corn syrup, or additives here. "People still think 'cocktail' equals sugar and really unhealthy. That can be the case, but it can also be the case that they are innovative, fun, and not so high in sugar," Lauren said. "Making a great cocktail can also be as easy as opening a can of beer." The company is set to release three syrups next month inspired by the Central Coast: a cold brew coffee syrup made in partnership with Paso's Spearhead Coffee Roasters, a passionfruit flavor utilizing fruit from Stepladder Creamery in Cambria, and an almond syrup that harkens back to the classic age of cocktails as well as Paso's early ag history. "For the almond cocktail syrup, we are partnering with a local business that would otherwise throw away the almond material we need, and we're reusing it," Lauren said. "We want to be part of the community." In many ways, this proactive attitude is exactly what's behind the brand's perky name. "Saying 'Yes, and' is the first rule of improv," Lauren said. "'Yes, and' means contributing to the whole and being part of the area. We love working with local partners Re:Find, Krobar, Wine Shine." Each bottle is still made by hand the old fashioned way. You can find the couple at six farmers markets per week, too. If they're not bottling, they're muddling. If they're not muddling, they're juicing. Still, just because they work hard doesn't mean you should have to. Hayley Thomas Cain says yes to most cocktails. She can be reached at hthomas@newtimesslo.com.